Full Moon Lunar Eclipse in Aquarius_Hold Onto Your Hat! “A lunar eclipse is a potent Full Moon which offers us a chance to release old emotional patterns we’re still holding onto. On the Aquarius/Leo axis, those patterns relate to how we hold ourselves back to ‘fit in’, how we hold onto ideals and judgments that no longer serve us, and most especially, how we let our heads overrule our hearts. How we dim our light. This eclipse asks, how can we let our Leo leadership abilities, our creativity and our bravery shine out to add to, not take away from, the Aquarius group Mind? I like to think of Aquarius as The Round Table where we all sit as equals, and this eclipse tells us to stop being afraid to let ourselves shine out, especially when we’re with our group. “We are in the eclipse portal- a radical time of change, endings and new beginnings. Eclipses are like amped up new moons and full moons- lunations on steroids if you will 😉 This full moon is a partial lunar eclipse and it is followed by a total solar eclipse on august 21st- the latter being a pretty significant eclipse for the USA (more on that below). With the leo/aquarius axis highlighted there is focus on individuality and community, ME and WE, personal and collective, heart and mind, feelings and thoughts. Because the south node is in Aquarius, we all need to look at where we overexpress this energy in shadowy ways- both personally and collectively. The shadow of Aquarius expresses when we only come from the mind and detach from the heart. Artificial intelligence is very Aquarian- but devoid of the elements of compassion, conscience and embodiment. There are gifts of AI but there are some big time shadows to be aware of- When we separate out intelligence from the other aspects of being a human it operates on it’s own and can run amok (just look back at the time of Atlantis when intelligence and technological advances took over). Another shadow of aquarius is being addicted to being different to the point of not being able to work within current paradigms. 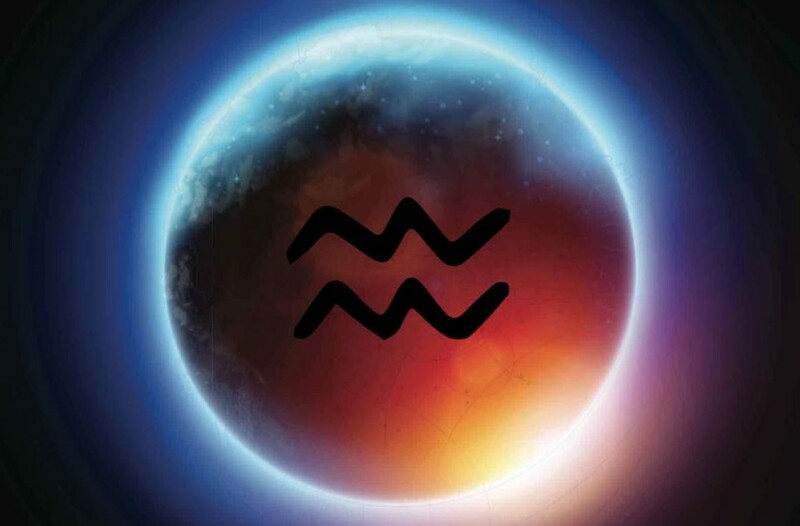 Aquarius is the sign of the game changer- out with old and in with the new! Yet aquarius can sometimes have difficulty discerning baby from bathwater- and it’s important to be able to tell the difference between foundations that are solid and good and ones that need to be overthrown. Sarah Varcas talks about the Black Moon when there are two New Moons in one month! The Black Moon occurs on the second New Moon Eclipse on August 21st! “A black moon is a particularly powerful new moon which augurs a significant new phase. We can use its energy to prepare for shifts in our inner and outer worlds so powerful they may change the very course of our life. Each black moon signals the beginning of a new cycle which lasts until the next black moon, two and a half to three years later, so these are powerful moments in time which can markedly influence the coming years. It is therefore wise to use their energy well. We begin at the first of the two new moons – a month prior to the black moon – [ we experienced this on July 23rd] which helps us discern how to best use the black moon energy. This first moon is a time of intense quiet, to be spent as still as possible. A time to listen, not speak; to reflect, not act; to go within, not be drawn without. This moon invites us deep within to discover there the entire universe and know our self as a microcosm of the macrocosm – a thread woven through time and space by the unfolding of life in, through and around us. This moon prepares us to ignite, at the black moon, the sparks of creativity, wisdom, patience, fortitude and commitment which fuel the engine of a life fulfilled. New opportunities occurring just prior to or at this first moon may falter before they’ve begun. A much-anticipated new start may fast lose its shine leaving us discouraged and disoriented. This is a common experience at the beginning of a black moon cycle, so there’s no need for panic! The first of the two new moons is simply paving the way for the real fresh start at the black moon itself, highlighting where final adjustments may be needed and plans require a final review. We then have a month to instigate any necessary alterations before the black moon arrives and a new phase is born. Whether we sense the coming change as a gentle breeze or a mighty storm, this initial new moon encourages us to embrace the approaching unknown, allowing it to trickle or flood through our life as it must and will. We are on the brink of profound change and commitments made now will be potentised a month later by the black moon.